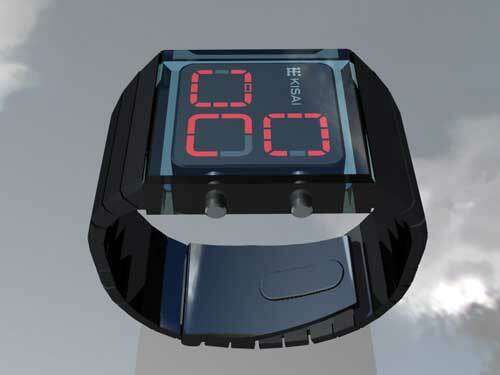 The Tokyoflash Zonal watch is the latest concept to be shown off and open to comment on the Tokyo Flash website. The Zonal breaks time up into units on three displays, red in colour – one each signifying hour, five minute groups and single minutes. They sit below a block of acrylic, that helps create a sense of depth. 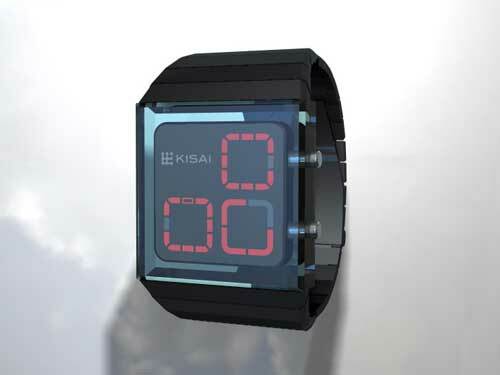 All this combined with a tapered, slick-looking matt black watch band. How do you tell the time on the Tokyoflash Zonal? As ever, the helpful folk have published a picture that explains how the elements of time have been broken down on the watchface – see the picture below. 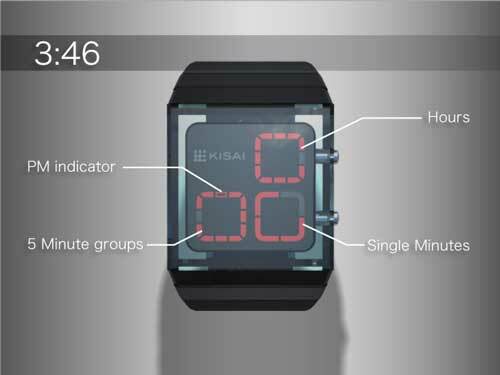 Comments so far seem to like the design in general, but there is a shared feeling is that they’d like to see the displays signifying the 5 Minute groups and the Single Minutes, switch positions. They don’t give their reasons, but I’ll give you why I think it works as it does. With the Hour blocks in the top right quadrant, the 5 Minute groups in the bottom left and the Single Minutes in the bottom right quadrant, it fits the ‘obvious’ pattern of Western reading – top to bottom, left to right. Arranged as they are the quadrants are arranged biggest to smallest time unit. That makes sense to me, but then that’s just my read.